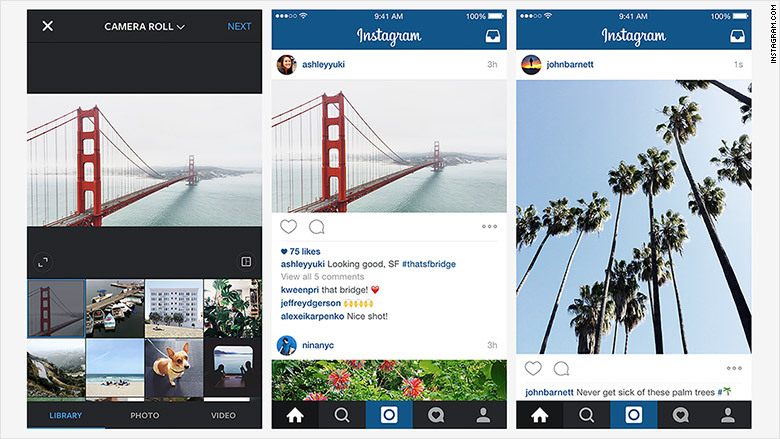 People are up in arms over proposed changes to Instagram's news feed. On March 15, the company announced that it was testing a change to its news feed. Rather than the reverse chronological order, Instagram said it was trying out an algorithm-based feed that would show the "most relevant" content to users first. Call it a delayed reaction, but on Monday, users were furious about the prospect. "My tastes, interest and curiosities change every day; if I'm not even sure what's relevant to me, how will you know?" Mayer posted on Instagram last week. "Don't fix something that isn't broken," Jenner, who has 52.6 million Instagram followers, tweeted. Instagram, which Facebook bought in 2012 for $1 billion, says users miss 70% of the content in their feeds. That's why it's looking to change the way the platform surfaces photos. One woman launched a Change.org petition after Instagram made the announcement, which now has more than 300,000 signatures. The backlash has one common call to action: "Turn me on." Users can turn on notifications to ensure their feed includes posts from that account. This feature isn't new: It sends a notification when your favorite users post. But people likely aren't going to turn notifications on for every single account they follow or they'll be inundated with notifications. For its part, Instagram said it is aware of users' concerns. "We're listening, and we assure you nothing is changing with your feed right now. We promise to let you know when changes roll out broadly," it tweeted on Monday. An Instagram spokesman said that only a "very small, single digit percentage" of the Instagram community is currently impacted by the testing of the new algorithm. It could be "weeks or months" before any news feed changes would roll out more broadly. For now, users can sit tight and enjoy the app as they've known and loved it. Or try to. Everyone is freaking out about notifications on Instagram. Are we all gonna be okay? can people stop complaining about people complaining about instagram changing?? LET ME LIVE.